I’ve been working with Megan Tierney, founder of Louise & Eleanor, for almost four years, and have had a lot of fun helping her build her brand. Megan has a specific vision to create products, a brand, and a lifestyle that is fun, whimsical, and inspiring. Louise & Eleanor’s handbags are created for the woman-on-the-go as she sets out to chase her dreams. Inspired by comfort, simplicity, quality, and elegance, Louise & Eleanor is a fashion brand with a purpose, seeking to positively impact women worldwide and encouraging them to live extraordinarily. Megan’s first business was a lemonade stand she started with her best friend as kids. To her, the lemon is a symbol of encouragement, friendship, celebration and inspiration. I chose a bright, energetic yellow and green that seemed to fit the positivity Megan wanted to radiate with Louise & Eleanor’s products and mission. After lots of iterations and testing shades of tennis court greens, we thought original shade “makes you happy when you look at them.” And so it was decided. 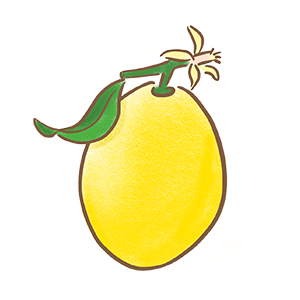 I create a lemon logo in a more illustrative style, with varying shades of the core colors to create depth. However, when thinking about branding the logo wordmark and printing it on bag labels, we decided a vector version of lemon would better suit future needs. Megan was a competitive tennis player. No doubt tennis was extremely influential in Louise & Eleanor’s brand. She wanted to create a line of tennis bags that are are functional and stylish, bridging high fashion and sports. The illustration on the right is a vision for a brick and mortar storefront, complete with lemon trees, of course. The illustrated girls are the face of the brand. They drive the story, taking the audience on a trip around the world as they create a beautiful life that celebrates friendship. They’re strong-willed, elegant, stylish, and diverse. They embody the essence of the brand, starring in the lookbook images and showing off the bags in all types of occasions. I experimented with different outfits, and over time we started to refine the look of the girls. Each of them represents a different city and its particular traits, but all the illustrations are tied together in terms of illustration style and color palette. The Lemonade Stand, Louise and Eleanor’s charity branch. Louise and Eleanor, the women who inspired the brand. 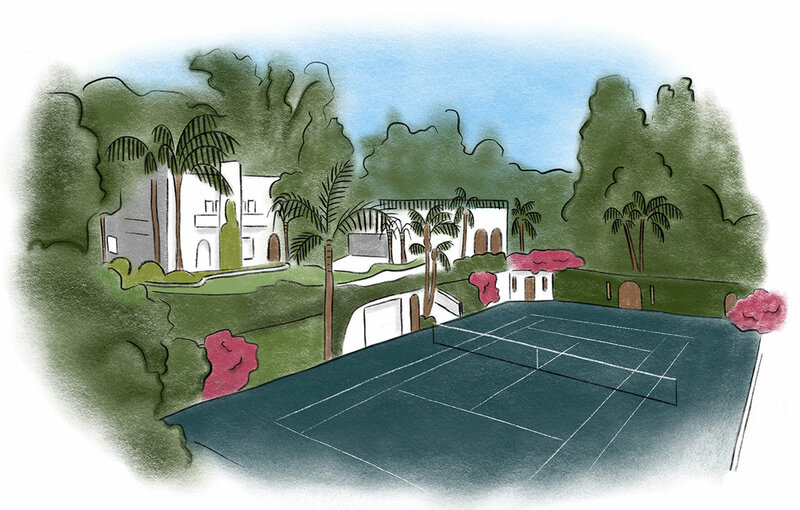 These illustrations were created for each of the pages on the website. 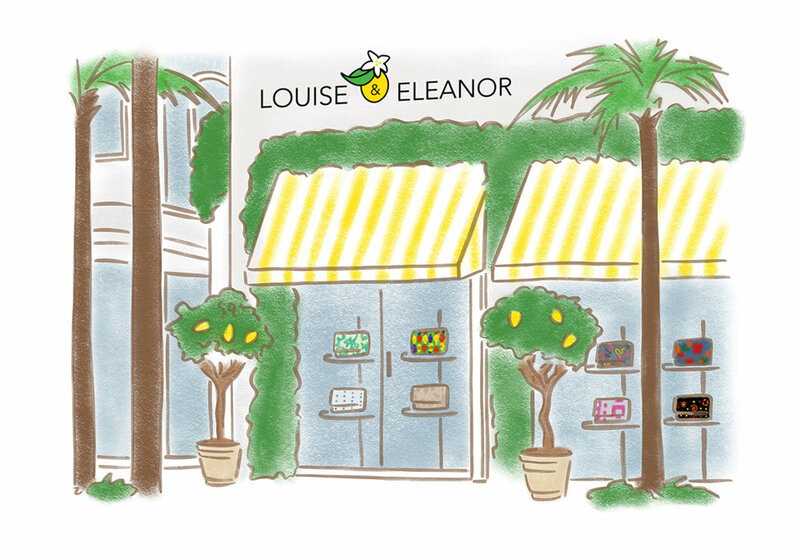 One of Louise & Eleanor’s core values is giving back, and I had a lot of fun envisioning a boutique-style “lemonade stand” that accompanied descriptions about the work they’re doing with various women’s non-profit organizations. As I worked with Megan on illustrations over the years, I’ve developed a style of depicting the subjects, scenery, and background details that come together aesthetically to tell the story. Click on images with white triangles to watch the playbacks of my drawing process. Louise & Eleanor partners with different organizations and tennis names to collaboration on special limited edition bags. The Madisen Bag was created in collaboration with Madisen’s Match, a tennis event that raises money to benefit Florida-based pediatric cancer treatment charities. The Kerry Bag was created in collaboration with host and reporter Kerry Feirman of Talk Tennis. A fabulous tennis bag as well as a functional everyday bag, the Kerry Bag is sporty and glam. 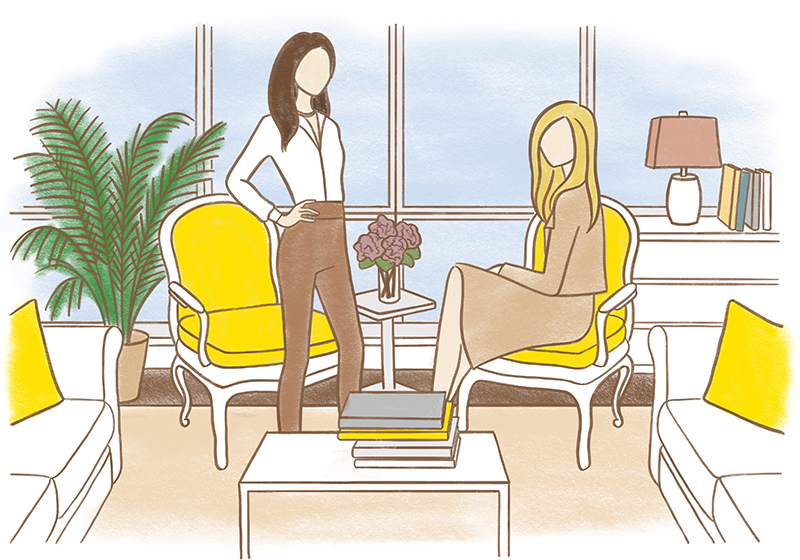 My illustrations depict the women themselves, drawn in the Louise & Eleanor style.